Insurance technology and the industry are both undergoing a seismic change driven by several macro trends. 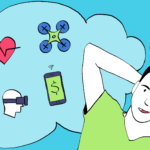 Of these trends, technical innovation and changing customer expectations are driving insurance companies to invest significant resources in topics such as Big Data, Internet of things, blockchain and wearables. While some players in the industry stand to win and capitalize on this shift, some, unless they innovate, will put their company at risk. Customer expectations for services have significantly changed. In an article written earlier this year, I outlined how customer experience is taking center stage in 2017, and the impact this has had on the retail industry. The insurance industry is no different. Many customers today expect to be able to get their car insurance online, and instantly, and at a great price. After all, “15 minutes can save your 15% on car insurance”, right? Insurance companies operate on the premise of risk reduction, that means whatever information can be gathered about the driver can help provide a better assessment of the driver risk, and therefore determine the rate. Yes, sometimes it is cheaper. In the past, you called your insurance broker, they asked for your driving history, how many miles you drove in a given year, what kind of car you drive, where you lived (to assess the likelihood of theft), etc. This data was collected once a year when it was time to renew. That, of course, was before GPS, IoT and Big Data were in play. Today, companies like Progressive can install a little device in your car, and monitor everything from the way you slam your breaks to where you pick up your kids, here is how it works according to ABC 15’s “Car insurance companies to track driver habits for research” story. Privacy aside, these projects cost millions of dollars and help insurance companies, save money, make money, and yes, sometimes pass the information to you. For the customer, the potential for money savings, and a better experience, compared to calling my broker every year and going through the data collection dance, is a win. Need good health insurance at an affordable price? Hey, how about a free Fitbit to go with that policy, thanks to John Hancock’s partnership with Vitality. Yes, at one point, data from wearables will be shared with your insurance company to analyse, revise risk, and cost to the customer. 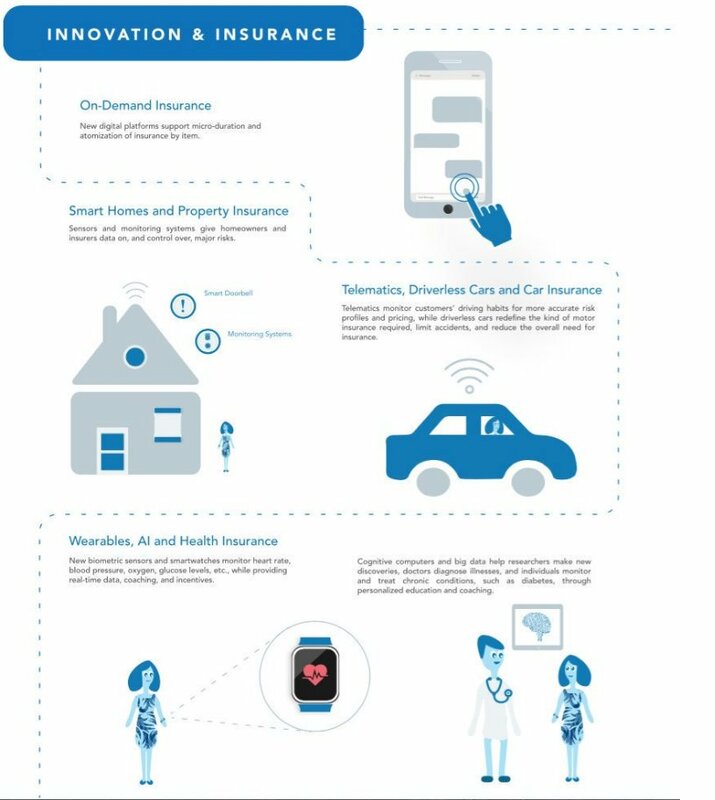 The world of insurance will further be disrupted by autonomous vehicles, drones, AI, block chain, and more, here is an infographic that can shed some light on how insurance companies are looking at technology. Don’t Fall Behind on Insurance Technology! On the other side of the insurance chasm is the brokers, who today act as resellers to insurance companies, who have by in large remained static in their technology investment. Part of the issue is, of course, the fact that brokers are small businesses who do not have the resources or the data to undertake such projects, and part of it is cultural and these companies are family-owned business who prefer to maintain the status quo, change is hard. The unfortunate reality is that the chasm in the customer experience when dealing directly with the insurance company is far different and better compared to the experience when dealing with a broker, and that chasm will continue to grow unless insurance brokers look for ways to service the customer better. Recent data released by CSIO, Canada’s industry association of property and casualty insurers, brokers and software providers showed that by the end of 2016 only 6% of insurance brokers have adopted digital signatures solutions. That means that 94% of insurance quotes still expect the customer to print, sign and scan. That experience for the end consumer is far off from the expected experience set by the insurance companies. While insurance brokers can choose not to invest in big data/IoT projects, they can still compete on customer service and leverage insurance technology to do so. Here are some very easy and cost effective way to simplify the customer experience. Invest in digital signature solutions (full disclosure here, we are a solution provider). However, the rollout of a digital signature solution takes little effort and eliminates one the core reasons why customers abandon quotes. Signature solution prices are quite affordable and can be purchased for as low as $8 per month. Go digital with your client onboarding processes by utilizing online forms, like Typeform or with embedded documents using an eSignature solution like Signority. Also, be sure to read our recent post on what to look out for before going digital and be aware of the top emerging trends to stay ahead of the game!